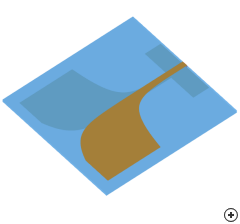 Image of the Antipodal Vivaldi antenna. 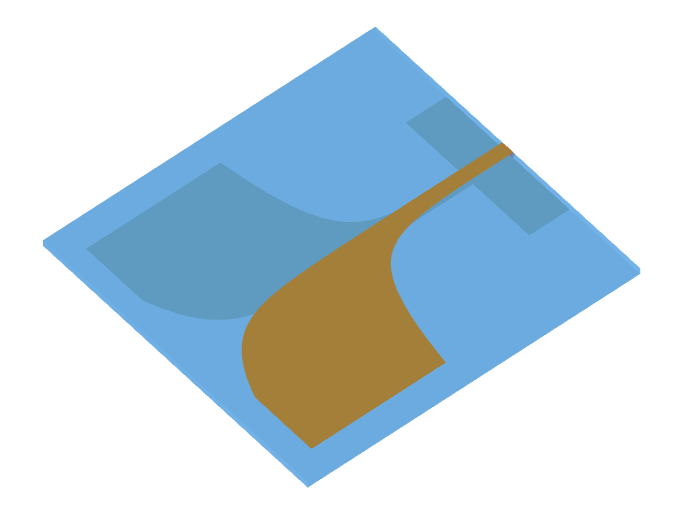 The Antipodal Vivaldi antenna, also known as the dual exponentially tapered slot antenna (DETSA) forms part of the end-fire tapered slot family of antennas. It has several advantages compared to the single exponentially tapered Vivaldi. Probably the most important being its compact size, simple feed and pattern stability. 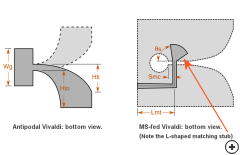 The Microstrip-fed Vivaldi (already included in Antenna Magus) includes a small matching section, whereas the Antipodal Vivaldi is fed using a simple parallel plate transmission line. Antenna Magus designs the transmission line feed with a characteristic impedance of 100 Ω. The parallel plate feed may be converted into a microstrip feed by simply adjusting the ground plane width to be greater than three times the feed line width. 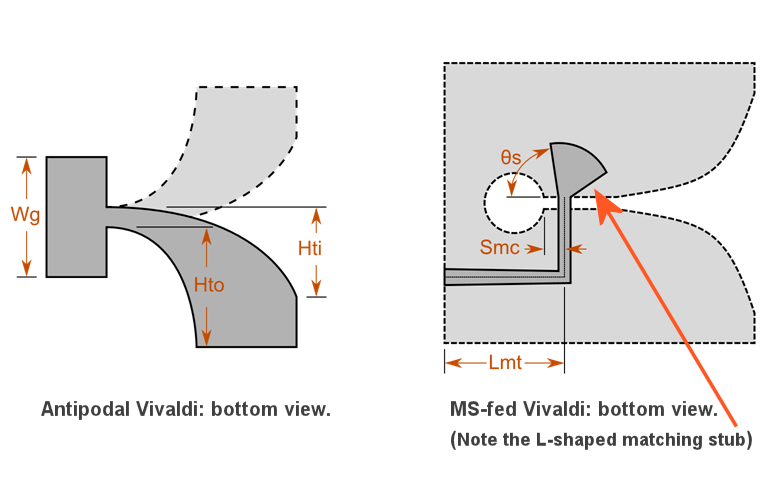 The following image illustrates the difference in feed complexity between the Microstrip-fed Vivaldi and Antipodal Vivaldi designs in Antenna Magus (it should be mentioned - as this is not apparent from the design sketches - that the physical size of the Antipodal Vivaldi is almost half the size of the standard MS-fed Vivaldi when designed to meet the same performance objectives). Design sketch comparing the antenna and feed structures of the Antipodal vs MS-fed Vivaldi antennas. Typical total gain patterns at fmin, 2.5fmin and 4fmin.